Shopping for Your Little Ones Made Easier and Cheaper When getting the latest baby gear and kids apparel make sure to check out Promocodes.com for coupon deals on baby brands like The Children’s Place and Cookies and Carter’s when you are in need for new duds for your kids. Kids grow up fast and grow out of their clothes even faster, so stay ahead of the growth spurts and shop. At Promocodes.com, you can find coupons to save on kid’s apparel, shoes, baby clothes, strollers, toys, and more. Works sitewide. Redeem this promo code to get 15% off your entire order of $20+ at Carter's. Get Free Shipping on orders of $100 or more when you use this coupon. Works sitewide. Get 10% off your entire order when you enter coupon code. Works sitewide. Get 10% off on orders when you apply this discount code at Aeroflow Breastpumps. Everything mom needs to confidently start her pumping journey! Works sitewide. Redeem this coupon to receive 20% off One Single Item when you sign up at buybuyBABY. Works sitewide. Get $10 off orders when you use this code at LittleBits. Find great gifts for the little ones. Get 10% off Easter Sale Items when you enter this coupon code at project nursery. Works sitewide. Reveal this promo code to get 15% off your entire purchase of $20+ at OshKosh B'gosh. Get up to 40% off on top holiday toys when you redeem this promo. Get 30% off your purchases when you enter this promo code at shopDisney. Works sitewide. Copy this promo code to get an extra 5% off your purchase at Omnifever.com. Works sitewide. Get 20% off all orders when you apply this coupon code at smilo. Making motherhood just a little easier with everything you need from pregnancy to toddler! Apply this promo to get Free Shipping on orders of $50 or more at Baby Gap. Works sitewide. Use this coupon code to get 40% off orders. Shop Nursing Pillows, Breastfeeding Pillows, Maternity Pillows at Nursing Pillow. Works sitewide. Get 10% off all orders when you apply this code at The Honest Company. Grab all baby essentials in one place. Works sitewide. Use this code to receive 30% off your purchases at Learning Resources. 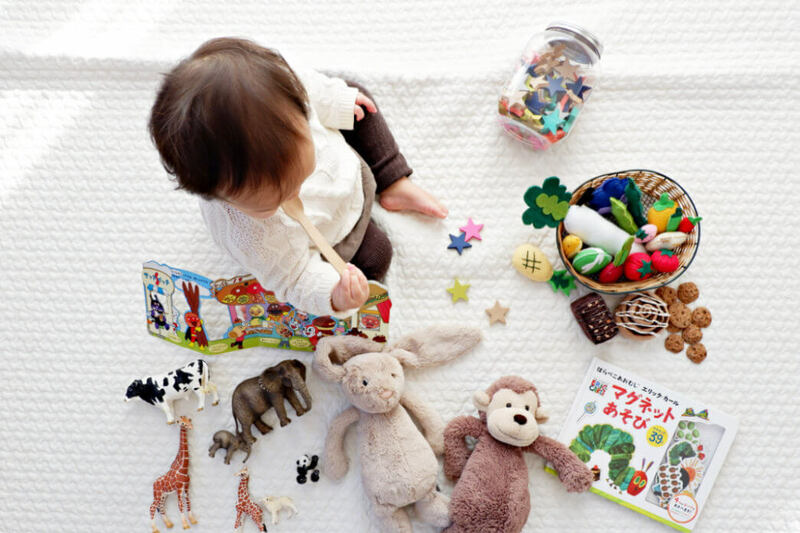 Educational toys for babies and toddlers. Works sitewide. Reveal this promo code to get 20% off your entire purchase at Albee Baby. Works sitewide. Use this coupon to receive $10 off orders of $40 or more at Imagine Toys. The place to find unique toys online. Redeem this coupon to get up to 50% off Super Spring Sale at aBaby. Works sitewide. Reveal this promo code to get 10% off your sitewide purchase at PatPat. Works sitewide. Reveal this promo code to get 10% off your entire purchase at stride rite. Jumpstart their look with next season's statement-making shoes! Works sitewide. Redeem this coupon to take 25% off regular priced styles with sign up at GAP. Plus, get access to exclusive offers, new arrivals, and more! Works sitewide. Reveal this promo code to get 20% off Premium Membership from Care.com. Click to find your care needs such as child care, pet care, senior care or housekeeper. Activate this promo to get 49% off on Annual Membership at ABCmouse. Works sitewide. Use this coupon to receive 15% off your your next order when you join the club. Apply this coupon to get 10% off Baby Girl + Baby Boy Clothes at StrollerHaus.com. Enter for a chance to be the CuteKid of the Year and win $25,000. Works sitewide. Apply this coupon code to get 30% off your entire order at Kohl's. Works sitewide. Get 10% off when you sign-up at I See Me. Get Free Shipping on all orders when you use this coupon. Buy Baby Monitors with Heartbeat Detection at BabyDoppler. Receive 20% off Infant Swaddlemes. Use this coupon to get Receive Free Shipping on Items in the Free Shipping Collection at Steals.com. Works sitewide. Get 20% off on all orders when you reveal this promo code at Baby Aspen. Works sitewide. Enter this coupon code to get 20% off Your Order. Discover extra discounts on Electric Breast Pumps & Kits at Unimom. Watch the video to learn how you can ensure a smooth transition for the whole family at Stork on the Stoop. When getting the latest baby gear and kids apparel make sure to check out Promocodes.com for coupon deals on the best kid and baby brands like The Children’s Place and Cookies and Carter’s when you are in need for new duds for your kids. Kids grow up fast and grow out of their clothes even faster, so stay ahead of the growth spurts and shop. At Promocodes.com, find coupons to save you on kid’s apparel, shoes, baby clothes and baby gear like strollers, toys and more. With Promocodes.com you can get all you need for your family at every age while saving yourself some money. Even services like child care and parental services like KidsWatch to ensure your children are watching what they are supposed to are available with discount codes. Promocodes.com has free coupons to save on every aspect of parenting. Help your little one with study tools and learning help for math, reading and writing by getting deals on Carson Dellosa and give your child a boost in their education. You can make sure all your kids are dressed to the nines with trending kid’s styles, sustainable clothing, and using safe children’s products and toys for less than retail when you get free shipping and discounts off new and clearance items at your favorite and trusted children’s brands. There are lots of benefits to choosing educational building toys for your children. Some of these include increased cognitive skills, fine motor skills, creativity, and imagination. There are many articles that guide you about what a baby needs for short travels, long travels, flight and all types of trips in between. What is often overlooked is what you need to travel with a baby! Reflecting back on my pregnancy with my first born child, it is hard not to think of the stress that came with figuring out what I needed to purchase so that I could be as prepared as possible. How many onesies would I need?